Deputy Chief Minister Sushil Kumar Modi, who tabled the Budget in the Legislative Assembly, said, "We have presented a Budget expenditure of Rs 1,76,990.27 crore for 2018-19, which is Rs 16,904.58 crore more than the current year Budget (2017-18)." Bihar Dy Chief Minister Shushil Kumar Modi arrives to present the state budget 2018-19 in the state Assembly in Patna on Tuesday. The state has revenue surplus of Rs 21,311.74 crore during 2018-19, 4.13 per cent of the Gross State Domestic Product (GSDP) which is estimated to be Rs 5,15,634 crore, he said. "The biggest relief for the common man is that the Budget does not propose any fresh taxes," he told reporters here. The minister said Bihar's fiscal deficit has been estimated at Rs 11,203.95 crore in the Budget, 2.17 per cent of the GSDP projected at Rs 5,15,634.00 crore. The state government has accorded top priorities to education, road and energy besides laying emphasis on 12 departments associated with "agriculture roadmap", such as cooperatives, rural development, etc, he said. The education sector got the highest allocation of Rs 32,125.64 crore in this year's Budget against an allocation of Rs 25,251.39 crore in 2017-18, he said, adding the state government intends to spend Rs 17,397 crore on road construction. The Budget also gave thrust on the energy sector, with an allocation Rs 10,257.66 crore. The health department's share has been increased to Rs 7,793.82 crore as against Rs 7,001.52 crore for the current financial year ending April. 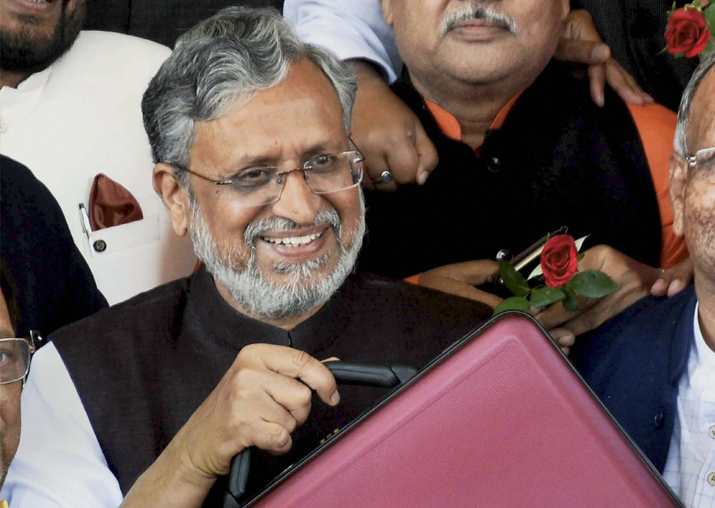 Bihar government has set a target of providing electricity to all households by December 2018, besides creating a separate agriculture feeder for providing irrigation facility to every field by the end of 2019, Sushil Modi said. The estimated revenue receipts of the state government have been pegged at Rs 1,58,051.41 crore in 2018-19, compared with Rs 1,37,158.41 crore in the current fiscal. The revenue receipts include the state's share in Central taxes, grants-in-aid from the Central government, the state's own tax and non-tax revenue. 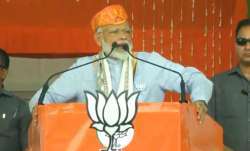 On Bihar's share in Central taxes, he said it is estimated at Rs 76,172.37 crore in 2018-19 as against Rs 65,326.34 crore in 2017-18. The grants-in-aid from the Centre to the state is pegged at Rs 46,431.12 crore in the fiscal year 2019 compared with Rs 36,956.00 crore in 2017-18, the minister said. 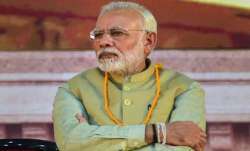 The outstanding public debt is estimated at Rs 1,37,900.82 crore in 2018-19, amounting to 26.74 per cent of the GSDP, Sushil Modi added.